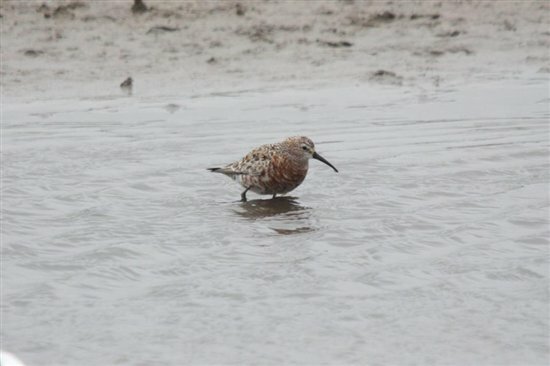 Inner Marsh Farm hide remains the place to be this week with lots of exciting waders around; up to seven curlew sandpipers, over 50 golden plover, ruff, dunlin, lapwing, black-tailed godwit, five green sandpipers and plentiful snipe. One day we were lucky enough to have all three egrets together (cattle egret, great white egret and little egret) at in front of the hide. Big flocks of pink footed geese have been coming in all week and settling mostly on the wet grassland at the back of the scrape. We are also getting lots of birds of prey coming through, hunting over and around the scrape, including sparrowhawk, peregrine, marsh harriers and merlin. On Saturday we had a spectacular view of a hen harrier (ringtail) flying right past the reception hide windows just meters away! The feeders are a nice place to look out for some of our smaller birds. This week we have had nice sightings of nuthatch, treecreeper, linnet and redstart. We are also beginning to see the appearance of winter visitors such as redwing and fieldfare. The spoonbills were still around for most of the week on and off and sightings of kingfishers are still continuing. We've also enjoyed the emergence of some brilliant fungi around the reserve too. The star sighting for this week is the hen harrier. It is always a treat to see a hen harrier, but even better when they fly right past the hides at Burton Mere Wetlands, which is virtually a daily occurrence at the moment! This week the wardens have been sprucing up the visitor toilets at Burton Mere Wetlands, giving them a clean and a paint! Assistant warden Liz headed over to Point of Ayr to check fencing and signage ready for the beginning of the voluntary wardening this weekend, to protect the high tide wander roosts from disturbance. This month we will be getting spooky for Halloween half term with the 'Wild Things at Halloween' family quiz trail starting on Sunday 21 October. We'll be at Parkgate on Tuesday 9 October for a Tidewatch event, followed soon after on Sunday 14 October by our first 'Raptorwatch' of the season. The Raptorwatch events will continue every second Sunday of the month until March. Don’t forget to also come along to the Wirral Wader Festival on the last weekend of October! The programme of events is now all confirmed.